Dental Staff - Wausau, WI - Paul S. Lewis, D.D.S., M.S. After graduating from Appleton East High School, Dr. Lewis attended the University of Wisconsin-Eau Claire. He graduated from UW-Eau Claire with a Bachelor of Science degree in Biology and then studied at the Marquette University School of Dentistry. He earned a Doctor of Dental Surgery degee in 1984 and joined the U.S. Army Dental Corps. Upon completing a one-year Dental General Practice Residency at Fort Bragg, North Carolina, he served on active duty for six years as a dental officer in Germany, Texas and Kansas. 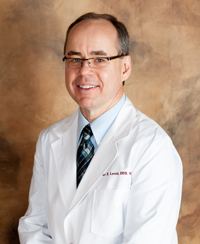 Dr. Lewis received his speciality training in Periodontics at the University of Oklahoma Health Sciences Center, where he earned both a Certificate and a Masters Degree in Periodontics. He then returned to Wisconsin and entered private practice in Wausau, where he has practiced for the past 25 years. Dr. Lewis and his wife, Rosario, have been married for 30 years.